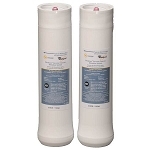 At Water Filters FAST, we carry the most effective water filters on the market. 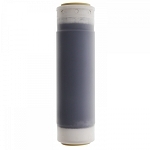 The main job of a Whirlpool fridge water filter is to remove several types of impurities and contaminants from a supply of water. 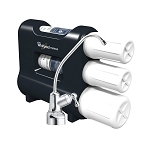 We offer a selection of Whirlpool water filters to our customers because we know that Whirlpool is a trusted brand. In fact, there are many reasons why shoppers appreciate our selection of Whirlpool water filters. 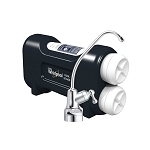 The Whirlpool brand, including the Whirlpool Gold water filter, has been around for decades, which means that a lot of knowledge and experience goes into their Whirlpool water filter products. 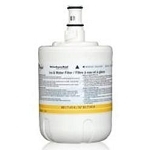 When our customers see the name Whirlpool on a water filter, they know that it is a trustworthy, effective product. For instance, Whirlpool refrigerator water filters have a design that allows them to reduce several types of contaminants from a water supply. 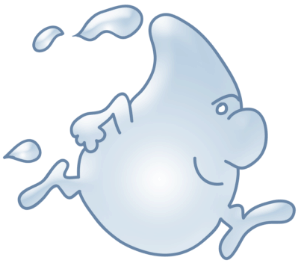 Also, Whirlpool refrigerator water filters are effective for several months at a time allowing a homeowner to put a Whirlpool water filter in place and forget it. They are free to enjoy a supply of clean, fresh-tasting water from the refrigerator. 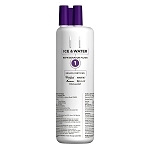 Of course, it’s wise to have a Whirlpool refrigerator water filter replacement cartridge supply on hand so one can be put into place when necessary. 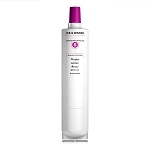 Whirlpool refrigerator water filters are reliable products made by a company with years of experience. 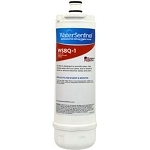 Whether it’s a Whirlpool refrigerator water filter replacement or a Whirlpool water filter for the kitchen sink, these products are expert at reducing many types of contaminants from a supply of water. 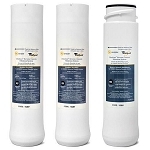 Each of the Whirlpool water filters in our selection is accompanied by a list of contaminants that it can reduce. Some examples of those contaminants include lead, mercury, chlorine, and benzene. 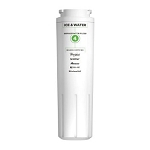 By purchasing a Whirlpool water filter replacement or a Whirlpool refrigerator water filter replacement cartridge, a household can have peace of mind about the purity of their water. 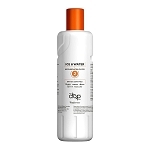 Shoppers also appreciate the variety of Whirlpool filters in our selection. 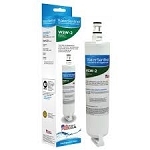 After all, one customer may visit us looking for a Whirlpool refrigerator water filter replacement while another is shopping for a Whirlpool water filter replacement to put beneath the kitchen sink. 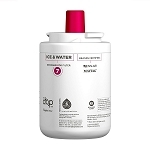 At Water Filters FAST, we understand that every customer visits our website with different water filter needs. 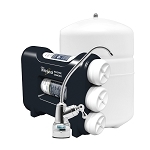 Consequently, we believe it’s our responsibility to carry a well-stocked inventory of Whirlpool water filter replacement products so our customers can find exactly what they need. 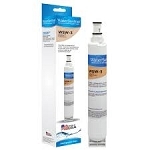 Finally, our customers appreciate Whirlpool water filter replacement products because they are easy to install. Clear instructions arrive with each Whirlpool refrigerator water filter replacement cartridge making installation a simple process. The experts at Whirlpool understand that customers want an easy set of instructions so they can put their Whirlpool refrigerator water filter replacement right to work! 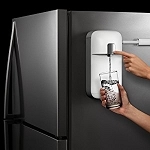 Whirlpool has a reputation for making reliable, effective water filter products that serve the needs of a household.